CLOSEOUTS. 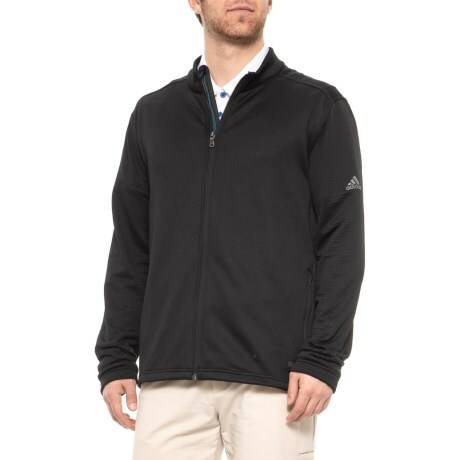 For cooler days on the course, the adidas golf ClimaHeatand#174; jacket lends a light, cozy feel while remaining breathable to prevent heat overload. Available Colors: BLACK. Sizes: S, M, L, XL, 2XL, 3XL.